Articles Speakers CornerShould there be a specified age to retake your practical driving test? Should there be a specified age to retake your practical driving test? You must renew your driving licence every three years after you turn 70 but there are no laws on what age you must stop driving. Find out the facts here. Unless your health or eyesight suddenly get worse, it can be difficult to know when you should stop driving. Your safety and the safety of other road users are the most important things to consider. If you’re concerned that your driving is not as good as it was and you may be putting yourself or other road users at risk it is time to stop before you have an accident. The Duke of Edinburgh was left “very shocked” and shaken following a car crash but walked away unhurt after his vehicle reportedly overturned. He retired from public duties in the summer of 2017 and last April had a hip replacement operation, is known to remain active. But with the Queen’s consort in his 98th year, there may be calls from some for Prince Philip to give up driving. Independence is something we all strive to maintain for as long as possible. This incident raises the question about who should decide when it is time to give up driving? Should there be a statutory age, should it be a decision taken by the individual or should family intervene? What are your views? Should there be a set age when you have to retake your practical driving test and if so what age? 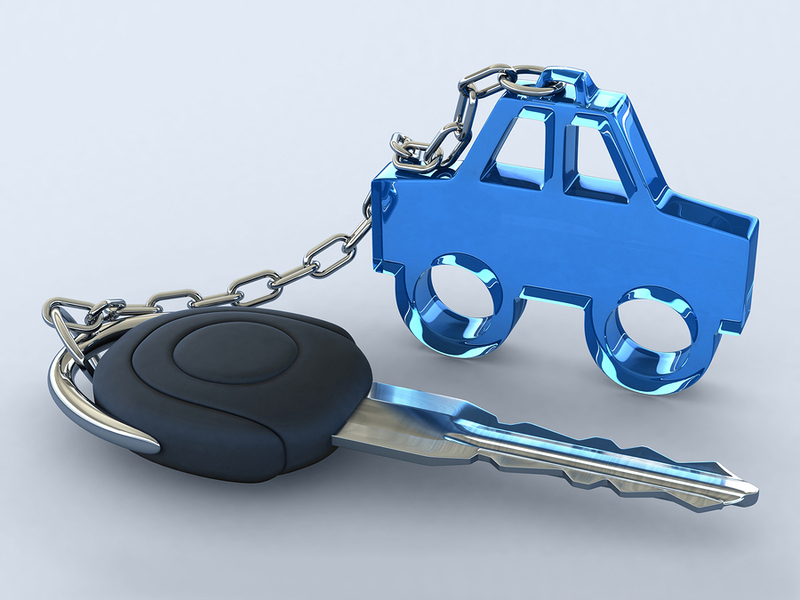 Have you ever had to advise a family member to hand back their driving licence to the DVLA? How do you suggest to elderly parents that perhaps their driving days are over? Despite being just 2 years from my 70th birthday, I feel that every driver should be re-tested at age 70. In my case that is 53 years since my original test. Things have changed beyond all recognition since then, and although I consider that I have a good memory, I still don't remember all the rules from way back then, let alone the new ones. And how many of us have kept up to date with the latest Highway Code? I think that everyone should be subject to medical and eyesight tests . Perhaps every 5 years .Statistically older people are less likely to be involved in accidents as the sensible ones among them decide to hang up their keys when they think they are past it . I also think that one reason older people especially those who live in the country have to persist in driving is the abysmal state of public transport . Sometimes their own wheels are the only thing stooping them becoming totally isolated . Every driver should have a check ride say, every five years. I say check ride, not test. Any problems ( medical, eyesight) could be picked up then. Drivers could be given general tips on better driving. If there are serious or dangerous faults, they should be referred for retraining and a test if necessary eg. if the driver is found to be temperamentally unfit to hold a licence. Failure to attend would mean licence suspension. The vast majority of drivers would cope with this just fine. your driving ability should be based on your health, so everyone should have a medical when they reach 65. Also if a driver is stopped for careless driving " without due care and attention " at any age should have to pass there test again. I passed an advanced driving test when I was 65 to prove to myself that I could still drive safely. Any one stopped with drugs or drink should have a life ban. Having just watched the figures for drug test failures released by the traffic police for East Anglia,it rather looks as if one would be more likely to suffer at the hands of a "wacky baccy" driver than by a 65 year old driver. Yes. For safety. You may not realise how much you have deteriorated. Judging by much of the driving I see on the roads, I think all drivers should have an assessment every 10 years regardless of age. A lot depends on if you have done a lot of driving all your life. Health and eyesite and if you have fast reactions as the traffic is horrendus. I myself packed in driving at 63 years. I did not feel confident enough to carry on. Absolutely. I am fast approaching 65 and still drive, However acknowledge that as I get older my reactions may slow down and this could make the difference between an accident or near miss! I would rather take the test to assess my capabilities to deal with the increasing amount of vehicles on the roads along with speeds etc. I believe the original idea when you had to reapply for a driving license at 70 was you should take a test but the disabled lobby saw that one out. Regrettably if you want to keep driving just tick everything on the application form seems to be the rule. I am still driving at 78 but I only do local journeys. I found long distance driving alone was very tiring and my reactions are not as fast so now the train takes the strain. Whilst I can see the merits of making anyone over the age of 65 take another test. There has been no mention so far of how, perhaps, over two million older drivers could be slotted into a creaking test system. Bad as the waiting time is for a newbe test now in most areas, the system could collapse. Before readers state the obvious "employ more testers " this would increase the price of a test for everybody and other costs involved, and this might just outweigh a decision from HM Treasury department. Should have to be tested from the age of 70 years every timeyou have to renew your licence. Absolutely. I am in my sixties and I would rather give up my license than be at risk to others drivers, pedestrians, cyclists etc. There are good and bad drivers of all ages but I do think that more elderly peoples reactions are not as quick and also eyesight so a re test at perhaps 75-80 would not be a bad thing! Rather than only a practical test, a test for reactions and eyesight on a simulator then a practical test. This is, a good idea. From my point of view, my partner and I live in VERY rural North Cornwall, and if we did not have the use of a car, we would be virtual prisoners . There are no buses within walking distance, as we get older just the thought of an exam:/test puts fear into us. I think there should be something in place, mor than a driving test every three years after reaching 70. I know of people who are still driving and have dementia, they won’t go to the doctor because they know their keys would be taken from them. They are dangerous and shouldn’t be allowed to continue, but as you say they are not breaking any laws. The duke of Edinburgh was lucky and he should stop now, after all it isn’t as if he can’t have a chauffeur to drive him wherever he wants to go. Ordinary people don’t have that luxury. The roads are so busy and very dangerous these days, we need to get a lot stricter. It is shocking that there appears to be one rule for him and another for us. Had this been me I'm sure I'd have been done for driving without due care and attention. Worse still driving next day with no seat belt! do what he wants on the private estate but not on public roads. Well Catkin, as the p0lice investigation has not been completed, how can you charge someone if nothing has yet been proven. It seems unfair to condemn someone until all facts of the case are known just because of who the person is. As today he wrote he did not see the other moving car and pulled out onto a main road into the path of it I'd say its pretty obvious. And he should have been cautioned by the police not left scene of accident. The delay in investigation is wrong. The next day is the test is he above the law? I know that stretch of road well and the speed limit is 60 mph, with many drivers going much faster. He obviously misjudged the situation and pulled out having been affected by the sun, he will not be the first to make an error and will certainly not be the last. I know of no accident investigation that is done in a few days as there are many things to take into consideration. No, he won't be above the law as other members of the royal family have proven, but he should be treated fairly as you would expect all citizens to be treated. Why discriminate against someone because of their position in society. I would prefer to leave the verdict to the experts who will have spoken to witnesses rather than assume anything, as things are often not as they first appear. The news media never let the facts interfere with a good story and as such I rarely take note of what they report. I too drive and have to say being formlly cautioned does not mean a conviction. He is being discriminated for and the verdict is through a court after the CPS have made a decision based on police evidence. Its simply a matter of being investigated to be seen to be fair and then next day driving without a deat belt shows that he has no regard for his personal safety never mind anyone elses. Its the next day which makes me think he is above the law. I have no idea if he was formally cautioned and if the investigation has yet to be completed, they would not know if it was a criminal case to warrant being brought before the CPS. It was a road traffic incident and there was no serious injury to the other party and therefore it may be considered an accident rather than a criminal act. As to wearing a seat belt, I'm not sure I would make the same assumption. Having witnessed many people who have been involved in road traffic accidents, how ever minor, and seen the bruising caused by a seat belt, it may well have been too uncomfortable. I accept that isn't an excuse, but it is something I took into consideration rather than assuming he has no regard for the law. I understand any incident when someone is hurt and clearly they were would result in a caution. Accidents which are due to a failure to pay due care and attention are not just accidents so would this have been your point of view had someone been killed. He was in an armoured vehicle and lots of things are uncomfortable but we're all the same under the law he must wear a belt. A bruise is better than going through a windscreen. And please do me a favour 'uncomfortable' its the law, If he can't obey the law then no driving its simple. Thats my final comment as having been in an accident recently I'm so glad to have been a bit uncomfortable and not on a morgue table. I'm sorry you have recently been in an accident and I'm sure that has affected your viewpoint. I think we will just have to agree to disagree. Get well soon. Given that Police cars in high speed chases frequently knock down and kill innocent pedestrians, why all the fuss about elderly drivers ? I do not drive, and I am quite content with the public transport in London, but many seniors in rural areas could be housebound without their cars. Hopefully self-driving cars will soon become the norm, and elderly drivers will be able to use them to get about in ultra safety. As an HGV driver i have medical every 5 years and CPC class room 5 sections of 7 hrs each every 5 years. I think statistics speak for them selves on this subject, young, new drivers most at risk, especially young lads. The problem here is its as unique as you and your health are. As I deal with motor claims I speak to a lot of people who are involved in accidents, and see the results. Believe me, it is not all about age. There are some sharp elderly drivers out there and a lot of risk taking middle aged drivers! Another issue is people in old age having these powerful large cars which they cannot control. But I feel there should be some kind of regulation, not necessarily a driving test but an assessment and advisement if the driver is ok to be driving at 70 and every 5 years after, just having to send in a form meaningless and has no value. I can’t believe how many people on here are saying yes! There are unsafe drivers with poor eyesight and with undeclared medical conditions of ALL ages driving on the road so why should just one age group be subjected to testing? People get into bad habits after just a year of passing their test so everybody should take a test of some sort to include physical ability! If they are going to introduce this for one age group then that is wrong. Do it for all age groups as older drivers are proven to be safer. I would suggest regular tests from 60 onwards. It's very subjective but I believe at 60 perhaps memory and judgement can be impaired so needs monitoring on a regular basis. Would it not be advantageous to have an assessment of one's driving skills/prowess at say 75 years of age then again every 5 years or so? When you are considered pensionable then you should take a test, and every ten years after. All free as in interest of safety. Remember that most of the pensioners today did not have to take the Theory and Practical as of today. And that road signs and restrictions have changed considerably over the last few decades. All decrese as we get older. At 60 everyone should have a compulsory resit. Dear complacent people who believe that after decades of driving they know everything! Try taking the Driving Theory practice tests on line, and see if you can get above the pass mark! If you manage to frighten yourselfs with how scary your lack of knowledge is you can sign up for one test a day to be sent to you by email...a bit of revision on the Highway Code .....at least reading it, helps. Also sign up and pay £38.00 for an assessment of your driving competence...own car, familiar roads, it'll reassure you and others, or not..
ElainePeony, I'm not sure people should be judge as complacent based on their comments but I do accept many appear ageist. Statistically, the young are much more likely to make errors of judgement whilst driving. If you see my post about an 89 year old friend of mine who was hit by a car that had lost control and overturned my friends car. He had to be cut loose by the fire brigade but merciful was not badly injured. However, the driver, aged 23 and unhurt, was not automatically expect to retake a test because of his age. I think there should be a practical test every time you renew your license after the age of 70. I recently found out that my great uncle had been told 4 years prior to his death at 86 that he had been told he was unfit to drive by his doctor but he remained driving. I had been in the car with him on one occasion and it was incredibly scary! I would be happy to retake a practical exam and in fact it would take the decision away from the people who are unable to make the decision themselves! I think every driver should be made to retake a test every 25 years and every 10 years starting at 70. Those with recent advanced driver training qualifications should be exempt. As someone who is nearing 70 I do not feel that I need to take a driving test, I have good eyesight, hearing and responses but my 90 yr old mother really should not be driving. She renewed her licence and only needed to fill in a form stating she was fit and well, no doctor's opinion needed. While the government is increasing the retirement age those age 70 may well need their car to get to work but there is a need for some sort of medical check for older people to ensure they are fit to drive and not to just fill in a form themselves. Maybe older folk should do the same as younger people and get a black box fitted, this would show how well they drive and insurance premiums could be adjusted accordingly. I had already pledged to take a refresher course when I reach 70yrs as a precaution. Since taking my test all those years ago, many things have changed,the roads are a lot busier and faster. I want to know I am still a safe driver. Perhaps a statutory age of 70 would be a good starting point. The most dangerous and therefore highest penalised by the insurance companies are the newly qualified drivers. A general medical at 70; eyesight, reactions etc fair enough and then each three years or so thereafter gaining favourable considerations on insurance premiums as an incentive. I think once you reach 70 you should either or bith take test & your GP should confirm that you are Healthy enough to be able to drive. There are still many older people with sharp and good awareness faculties. I frequently sit in a car with an 84 year old driving. To retake a driving test in today's social climate and given it is both theory and practical, I believe the individual would be heavily scrutinized more and have the opportunity reduced to retake it if failed the first time around. Our older generation in today's society are already discriminated in many other ways already. Look at the number of offences committed by younger individuals through alcohol, drugs and mobile phones. Do you see this behaviour in older people over 70 ? I agree that it’s difficult to assess driving safety but I believe there should be a change in current regulations. I witnessed an accident involving an 80+ year old gentleman that was driving to the doctors and collided heavily with a parked car as he hadn’t even seen it (in his own words). The worrying thing is that it could have been a cyclist or motorcycle which may have resulted in a fatal accident. I’m sure many older drivers are great but I think the best way would be for them to receive an informal driving assessment by an authority such as RoSPA. If they were considered to be unfit to be driving it could be submitted to DVLA for a final decision. Interestingly a friend of mine, driving at the age of 89 with his 87 year old wife, was hit by a car that lost control and overturned my friends car. He had to be cut loose by the fire brigade but merciful was not badly injured. However, the driver, aged 23 was not automatically expect to retake a test because of his age, this despite all statistics showing the young are much more likely to be involved in accidents. I meant to add that if the reverse had happened everyone would have assumed age as a factor! No, I don't feel there should be an age related test for seniors. Having been a professional driver most of my working life, I feel more than capable of continuing to drive. Should I reach a stage where that is not the case,for the safety of myself and others I would be happy to stop. I am in Spain, we have to change our driving licences to Spanish ones. Depending on age and health, we have to take a psychological test from 1 to 5 years. This is at a health centre, costs about €40 and renewal fees. The rest is for hearing, eye sight, perception and co ordination on machines. They also ask health questions and can check with your doctor. I am 60 but have medication due to a heart problem. My licence is for 2 years, then retest for a renewal. It costs but we know all drivers are safer. Yes, I think 75 would be good. As with most other things in life we all need to check to see if we can still do it. Driving is no different. The sad fact is that driving is a necessity as there is little or no alternative that offers affordability & convenience regardless of age. Community Transport in rural areas is facing near extinction as councils look to shore up their finances. But we can’t just keep driving adinfinitum there has to be checks along the way. 75 must be a good starting point for a full test, with refreshers every other year? We all age differently. I cannot believe that the majority of silver surfers believe there should be a set age to take a practical driving test. I can only assume that they are spending too much time surfing and not enough time exercising their minds and bodies to ensure that maintain their reaction times. Might I suggest that if anyone, of any age, is concerned about their driving capabilities that they joined an advanced driving group and take their advance driving test. This is a fare more efficient, and cost effective, way of confirming if an individual is still capable. The trick is for those people to know that they need their driving skills reviewed. As the working age increases it's difficult to really suggest a age to take a retest. I am 80 years old and I have limited my driving by my own feelings about what I am not happy doing when driving. I no longer drive at night, I find the glare from the very white headlights of the latest cars so dazzling that I don't feel safe. I have limited my motorway driving because of the inconsiderate (mostly male drivers)who have no patience if you are keeping to the speed limit and try to force you to speed up by sitting on your tail. I have been driving for 60 years, never had an accident. I would be happy to take a test, to confirm that I am still safe to drive. I wonder how many drivers over the age of 70 would actually pass their driving test now. Regarding Prince Phillip being blinded by the sun, that can happen to a driver no matter what their age. Here we go again...the old bandwagon!! People age differently so you can't put a number on it. Some are alert and sharp well into their eighties and others are dopey at 30... so??? What does make me extra nervous, is the amount of drivers, young and old who are doped up with drugs, prescription or otherwise. If we must take a test every few years, then make it for all not just the seniors. I think I would have enough common sense to know if I was causing mayhem and reluctantly hand over my keys. Dear Phillip, - you have stirred the hornets nest once again !! Having to renew your licence is already agismn and should be protested against! Having to retake your test is also the same. Statistics have shown that older drivers are more careful and have less accidents, so why would they need to design a driving test! Everyone is different according to health and normal driving capacity. Age is not a reason to stop driving. As a former driving instructor I can tell you that there are a mix of standards at all ages. I am sure that statistics would show that younger drivers will have more accidents in the first six months of driving than older people. It should not be a decision based on people's perception of older people. It should be based on medical advice. We should be proud of the fact that we live in a democratic society where we are free to make our own decisions. I am sure that relatives can help when it comes to any concerns over a person's driving. In my experience, most "oldies" know when it is time to stop driving. Person ally I never drive in the afternoon at this time of the year because I can easily be blinded by low afternoon sunshine. I would be housebound without my car so hope to be able to drive as long as possible - but I WILL know when to give up!! The duke's comment that this accident was "just a minor unconvenience" really angered me though. For most of us, being without your car while it is repaired is a major disruption of our lives!!! But his comment was aimed at himself, and like many people he does not have to rely on having to drive himself at all times. Yes for many it would be an inconvenience, but why be angry at a comment aimed at the individual. It should be taken every so many years to catch all type of bad drivers or at certain ages. Ie 17, 25, 35 - every 10 years up to 65 years and then reduced to every 5 years or until you are actually dead or stopped by law from driving. Motorway driving should always be part of The tests. You have to see a doctor after you are 70 who says if you are fit to drive or not, but we are now having to work longer because we are living longer and fitter. The age when your doctor is consulted about your ability to drive should be raised accordingly! Another money making pit! E.E. Here we go again - as soon as this happened with Prince Phillip - it all kicks off i.e. retest, health checks over 70's etc. There are some drivers on the road under that age group whether they be male or female should not be behind the wheel of a car as some have not and never will declare if they have any impediment which should stop the driving . So kindly leave the over 70's to decide if they should give up driving as most older drivers are usually the most considerate road users and were taught the good manners of the road i.e. give way to on coming drivers if the obstruction is on your side of the road etc. Surely this is not a matter of one's age but of competency? Ageism is rampant in this country and we don't need it stoking up with spurious claims. I thought I was a good car driver until taking my HGV Class 1 the instructor, an ex-military bulldog, took us apart. He reduced us to ashes in respect of our driving. Only then did he begin Class 1 training. Driving 44 tonnes one sees just what incompetents are handed car driving licences. Even one torn off a cereal packet would have more credibility. It's obvious to me some people who hold a licence shouldn't be in charge of a supermarket trolley, no matter their age. Others are drivers and not mere road users. Driver testing is a very arbitrary way of determination. Much depends on more than driver performance. Examiner mood, time of day, weather, differing judgements between examiners ... I'm sure there's more. Compelling drivers to re-test at a given age is equally uncertain. Otherwise adequate drivers with so much hanging on the test, may become racked with nerves and fail. Drivers such as my 82 year old friend who potters around these rural lanes and never drives in a city would almost certainly fail when he's more competent than many youngsters in the area. Also, I believe there are many older drivers who would ignore the re-test and drive anyway so what's to be gained? Little, I think. Prince Philip's situation yesterday was common to most drivers. Joining traffic exceeding the speed limit and turning into the sun. I know the A149 Lynn to Hunstanton road very well. A straight single carriageway race track with an unenviable accident history. If we consider the oncoming driver hit and rolled an armour plated Land rover it must be self evident she was travelling well over the speed limit, and that with two young kids in her car. It's not Prince Philip who needs to give up driving, nor older drivers compelled to take a re-test. The entire system of driver competency must be addressed. The result of that will be fewer young drivers on the road. Everyone needs their driving competence regularly. 10 years intervals? tested, annually by medics and through a virtual or on road test...although that could be lethal..e.g...when an old man with 3 passengers drove down a dual carriageway TOWARDS me! Get old dangerous drivers to relinquish their licences, even if they have to do it kicking and screaming, it's better than them killing someone. I am in my 60s and a former police advanced driver. I take the strongest exception to your crass and sexist remarks. Your description of the male is a sweeping generalisation. Were I to make similar comments about female drivers, I would be howled at. I believe older drivers should have to attend a registered driving school for a driving assessment. Oh, and by the way, some of the worst drivers in my town are Mums tearing about on the school run. Well Elaine, what part of this discussion implies that the person involved was a stubborn, selfish, arrogant old man - well I accept old man - but the rest of your rant is sexist, inaccurate and unnecessary. I agree to a degree! I think there should be regular tests for everyone over 70 and that includes me. Maybe even 65. Our faculties decrease as we get older-its a fact so we need to keep ourselves and others safe. £38.00 to take the Pactical test given by The Drivers Skills scheme, in your own car on your familiar streets. Do the online Highway Code Theory Test...do you know the difference between a Pelican, Puffin, Zebra, ....these are crossings by the way, and one other I've forgotten...'cos I'm old! Have some fun looking up the Theory practice tests, doing them online and see if you can score 86% plus + which is the pass necessary for aspiring 17 year olds to take their practical driving tests, and they have to go to a designated centre to take the test...£s plus £travel, plus £repeatedly if not passed. Medical checks, re-tests every three years ?? Oh really ! And would these all be free of charge ?? Can imagine certain parties rubbing their hands with glee with another opportunity to "shaft" the motoring public. Purely by coincidence it would reduce the number of older owner/drivers by virtue of yet another expense. My GPs call me in annually, regardless of my contact or otherwise in the last year. I get weighed, measured, blood pressured, stuck with needles to take blood samples, stuck with needles to give me the flu jab, and off I go, never, thankfully, to see them for another year. I have no idea about the blood test results! I have an annual eye test, and my over cautious optician refers me to the hospital (twice...since he is covering his liability) and the Consultant dismisses me...it's a day out, and the coffee is good! So I don't mind. So, a few more tests, e.g. driving competence perhaps a virtual one at the opticians, would be very welcome, since I could offset the cost of the test when passed against my car insurance. No one gets anything for free..so I regard the fee for an assessment of competence as an investment. Everyone is different. I think there should be more medical instead of voluntary reporting if an illness would prevent you from driving. I filled out a form to report my mother had dementia and she never forgave me. I think there should be a re-take every 3 years after 70 yrs of age. My father has just given up at 89, he was unsafe but insisted on driving, having several minor knocks and scrapes! He is now afraid to drive a licensed mobility scooter, having realised he is unsafe! I will be 70 later this year and so will have to renew my licence. I think it would be a good idea if I had to retake test then and every 3 years thereafter, provided that it was free or at nominal cost. At the very least there should be an eyesight test. I can hear the jeers already but you have to shelve the ego and think sensibly. I think that I am a safe driver, certainly more careful and risk averse than when I was young, but I know that my reflexes are not what they were and I find night driving unpleasant. That is my opinion but a second opinion by a professional would be a good thing. I have been thinking about taking an advanced driving course as a refresher but balk at the cost. I practice "defensive" driving as when on motorways as the sight of half a dozen cars, in excess of the speed limit, driving just a couple of meters apart in the fast lane. I am certainly not a slow driver, but my instinct is fall back from those situations or when tailgated as I have seen horrendous "multi vehicles". I am sure though that I could give the current generation lessons in how to park, it seems they forget as soon as they pass their test. It's been very interesting reading through the replies. It certainly shows that the subject has a wide interest and is of concern to many. 4. A very sound proposal, that of insurance companies offering a reduction in premium if an older driver has a current medical certificate showing confirmed physical ability to drive. Perhaps Silversurfers could undertake a full and proper survey using SurveyMonkey, publicise the results and send them to the DfT and motoring organisations such as RAC and Brake. The outcome could be incorporated into future national road safety policies and strategies. It's an interesting topic particularly as I have been and am still involved in road safety for the past 40+ years. Statistics show that elderly drivers, i.e those over the age of 65, are the least crash-prone age group. However in that age group the KSI (that is killed and serious injury) rate is highest. This is quite likely due to elderly drivers and passengers not being able to withstand the impact and the resultant decelleration forces as well as younger road users. Currently, theoretically, anyone in possession of a driving licence can continue to drive until they drop dead. This is obviously not a satisfactory situation. The risk of a driver having a stroke or heart attack in the over 65 age group is greater than for younger drivers. We've all heard of RTCs (road traffic crashes) in which a vehicle lost control as a result of the driver having a medical problem. There should be a more robust system of control other than simply obtaining a doctor's signature in order to continue to drive. If an elderly individual needs or wants to continue driving above, say 70 or 75 years old then they should have to have a check up by their doctor. This could be repeated at suitable time intervals, perhaps every 5 years in order to ensure that they remain physically able to continue without becoming a risk to other road users and themselves. It has been proposed that older drivers tend to travel slower than other ages and have contributed to crashes because of hogging the middle lane at 60mph or less on motorways. I don't think this is supported with factual analysis but the RAC have embarked on a study on this very issue. I rather think that type of behaviour is found with hesitant drivers of all ages. I, personally would not be averse to having to have a medical in order to drive. I had to have an annual medical to continue scuba diving under BSAC rules over the age of 50. I am due a couple of cataract operations later this year so should have improved vision for that very purpose. The test would have to assess the applicant's general health and assess the likelihood of having a stroke or heart attack. How this would be based I am not sure but possibly on cholesterol levels and general lifestyle (i.e. smoking, drinking, eating habits, etc), The test should include a quick check on reaction times, stress levels and general physical well-being. I'm now going to cause more panic by concluding with my continuing proposal to improve road safety in the UK. If such a system of testing elderly drivers is introduced then I would also like to see a change in the process of becoming a driver in the first place. I have long maintained that the system whereby a candidate taking the driving test can continue to take tests until they at long last eventually obtain a pass. There are those who took not just a few attempts but maybe perhaps 20 or 30 attempts to pass. For someone to take that many would indicate to me that they are just not cut out to have the necessary skills to be a safe driver. There is nothing worse than having a jittery or stressful drive r on the road. They are liable to make irrational judgements and to panic in emergencies. Driving is probably the most complex multi-tasking activity that anyone will undertake in their lifetime and it has to be acknowledged that there is quite a high proportion of the population who just are not capable for this operation. My proposal would be to permit 3 attempts at the driving test. If the test is not passed within these 3 attempts then that person will never be able to obtain a driving licence. We have a level of deaths and injuries as a result of RTCs in this country which is not acceptable. For a "civilised" country is an appalling waste of life and resources. At the last count, the cost to the country is about £19 billion per year and that does not include the congestion costs that RTCs create. Currently the government does not see fit to include targets for reduction in their transport "policy" which I consider to be reprehensible. The UK is the only European country that does not have official national targets [Highways England, who are responsible for the motorways and trunk roads have their own targets] If UK was to invoke the 5 Pillars of Road Safety as defined by the UN/WHO we would have targets but somehow the DfT think we can do the job without these! When both my aunt and mum were diagnosed with Dementia, DVLA still allowed them to drive. I was appalled as they’d both had minor accidents. Fortunately they had sensible GPS who supported me and told them they were no longer allowed to drive. The current system where drivers complete a form stating they are safe to drive, and the DVLA who do not respond appropriately even if they are given accurate information, is ludicrous and dangerous. Statistically, the ones most needing re-testing are the young. Those below the age 24 have twice the accidents you would expect, given the number on the road. On the other hand, older drivers have half as many (IAM)! It appears that when ever there is an accident involving an older person, people jump to the conclusion it was the older persons at 'fault'. I agree as we get older we may have reduced reactions but compensate by obeying the rules of the road. Young people are more likely to overestimate their ability and are naturally higher risk takers. Recently in Coventry, we had a bus driver of 80 years old who was doing long shifts crash and kill 2 people. Driver should stop at 65 for their work. All drivers not matter what age should be tested every 5 years from 17. I think between the age and 75 drivers should be checked over by there GP and all health and medication be took into consideration. Then be checked every 3 to 5 years along with a driving test or a driving refresher course. But then you could also say that about a lot of the younger drivers on the road who have an Illness / mental illness and take medication or drugs for this as well. Should they not be taking health tests and having to retake their driving test after an accident or when their GP knows they are ill or prescribes them certain drugs. If you look at the statistics most accidents are caused by drivers under 25 either for recklessness or under the influence. Cars of today are so advanced with so many good safety features built in for all drivers of all ages. Then we have driverless cars that will be coming out in the future, or if you are old will you be considered unreliable to have a driverless car as well. Most older people will only drive on roads they know and won't drive at night, the majority of older drivers on the road today are more safer than the young boy racers or white van man on our roads who seem to be at the forefront of most accidents. I'm 74, been driving & riding 55+ years, still have a Yamaha 1100 in the garage. I have a yearly eye test, the doctor gives me what he call's an MOT once a year, I do a 'bike wise' run with the police every couple of years. Question 1, how many you driver have accidents compared to older drivers? Question 2 why don't car drivers have to do a three-part test & have a vehicle restriction like motorcyclists? We are becoming a really ageist country, younger people imagine what it’s like to be older.. but I think it should be based on the individual, I’ve known people in their 40’s with health problems driving worse than 80 year olds. DVLA should be informed of medical conditions and certain medications people take, health professionals have a duty to inform them .. but often don’t.. my father in law drove until 84. Not safely, had a small stroke and I discussed with hospital consultant who said he could still drive.. despite my concerns. Many of the very elderly drivers have never taken a driving test , wonder if Prince Philip had ? It’s my opinion there should be a further driving test at 60 , and folks should be off the road at 75. Reactions slow down as we age .... and without the cost of petrol and maintenance of the car , when absolutely necessary a taxi could be taken . What rubbish. It’s long been proven that younger drivers are less safe. At 70 is a good time to renew, but the doc should confirm you’re fit to drive. 60 is too young. Most people use common sense to decide when to stop. I agree but not 60 that’s too young.. retirement age is now 67.. I disagree with you. Perhaps Prince Philip did not take a driving test, I dont know, but I very much doubt there are many people these days driving who have not taken a driving test as it was introduced in 1935. Why choose 75? Is there a switch that changes you when you reach 75 from a competent person into a gibbering wreck? If you live in a rural area a taxi to the supermarket can cost you £20 round trip, a trip to pick up my granddaughter from school another £20 round trip so that is at least £40 extra per week just for those trips, buses are practically non existent in a rural area so perfectly competent drivers would be marooned at home. It would be much better if when you renew your licence at 70 you had to have a medical every three years rather than just take someone's licence away regardless of how competent they are just because they reach 75.. I have been driving for 70 years and all the car accidents I went through were always the other party fault. You cannot imagine the number of times my car was hit while parked decently in a bay. Then there have been people in a hurry and not looking around, or putting the gear shift in reverse instead of drive. The most memorable accident I had was on the M! going to London. The stream in 3 lanes was going very slowly and I saw in my rear view mirror that the driver behind me started reading the paper. There was a gap and I drove vastly forward and the car behind me saw that and started up as well. the acceleration pedal instead of the brake. Thus he smashed into my rear and of course the orchestra of car horns started to moan. I got out of my car and so did the driver behind me. He was very frustrated and wanted to smash my glasses of my face. I took them off and invited him to go with me to the layby and sort our business out there. But he declined, his problem was that he drove a light weight car and I was driving a Volvo estate with a towing hook. My damage was negligible, his car had to be towed away. I always say and still do, when you are driving to concentrate on that and nothing else. No smoking, eating, phoning, patting your girlfriend or kissing her. People are not the same thus any age limit might help some but are a hindrance to more. One has to be realistic as a car owner and drive with concentration. There has to be a time when we hang up our car keys. The money saved on running a car will more than cover the cost of a taxi to take you shopping ect. Then we can get our kids to repay all the lifts we gave them growing up. I love driving and the freedom it gives me, but one day it will be taxis for me. actually I think it might be a good idea if its 50 years ago since you took a test things have changed a lot and not everyone keeps up to date with the new rules. In fact a gentleman I know was driving until last year hadn`t taken a test he got his licence from driving in the army. I learned to drive and passed my test when I was 47 and have driven daily locally and regularly on motorways for the last 23 years with only one bad accident not my fault. I would not object to taking a re test. I think everyone over 70 should be retested every 5 years and should be have to send DVLA a list of medication and ailments. So that an assessment can be made. You do have to notify DVLA of medication and ailments. My husband had to have a medical when he was 70 and passed it with flying colours. I believe that a driving test should be done at 70years old and every three years after, It could be done on a simulater and assed by a machine to give a non biased result. This may cost a small amout of mony but is it not worthwhile to spent 50/60 pounds every three years to know that you could be safe instead of risking some elses life. Eyesight and reaction speed are all that need testing by Gp's on a regular basis for elder drivers over 80 (??). I think 80 would be a good age to re-take the practical driving test. I am 84 and would be quite happy to have someone check that I am still safe to drive! Personally I think EVERYONE should retake their test every few years as there are some appalling drivers around! I would be more than happy to be retested every five years! I personally think that when we're older, no matter how good a driver we are, our mind and body slows down, so does our response to things. As was said on TV, the Duke has always driven, he loves it, he's always driven quite fast. I just think at that age no-one should be driving no matter what. I hope the Duke is ok. I surrendered my car keys last year! Whilst I am a youngster at 65, because of illness and 2 falls and consequent injuries I couldn't drive for 3 years. When I was eventually allowed to drive again I realised the roads had been taken over in part by a totally NEW breed of driver, 1 who doesn't care at all about another living soul and who is going to get where they are going no matter what the cost! I also discovered that there is now also with certain models of vehicle that are sold for SOLE USE OF THE ROAD! None of these drivers were elderly!!! I do think the older drivers are given bad publicity, and I do think they should be tested far more frequently, but I would get into a 97 yr olds car in preference to getting into a 4x4 owners who wants the road to themselves! At the age of 76 my father in law's driving had become very poor but he wouldn't admit to any problems even after coming very very close to running over a pedestrian on a zebra crossing! This was only one of many incidents, but he was determined to carry on and dismissed all the family's concerns. Thankfully his licence was taken from him on medical grounds. I think everyone aged 70 should have their driving assessed and if necessary have a refresher course, we all get into bad habits!! and from the age of 75, sit a practical test every 3 years. This would help stop family arguments too. Win win all round. I think everyone over 70 should have regular tests. Lets face it we all have issues with our age and failing eyesight etc. One of the keys here may be telematics so "smart boxs" fitted into cars for both insurance purposes and also to measure how drivers are driving. If they sense people are not driving safely they should be prevented from driving. That applies to a "boy racer" of 17 as much as someone driving in their 90s. This accident has brought driving to the fore again. I think there should be regular checks for all. The standard of driving is deteriorating generally and it's absurd you can pass a test at 17 and never be checked on again. Too many drivers are taking unnecessary risks and with no repercussions the level of risk gets higher. Its not all to do with getting older. Like most things, it depends on the individual. It may be wise for everyone to take a retest say every 5/10 years throughout their driving life - it seems strange that once a person passes the test, that is it for the rest of their lives. The duke himself - like many of his generation - was not required to take a test before driving - and he, like his contemporaries, has never taken a test - I’m 67 and drive over 20,000 miles a year; I would not be against having to take a regular test - as long as it applied to all age groups. As a 72 year old, I do think that an obligatory test is a must for all over 70. If the law does not require one, surely the insurance companies can offer a reduced premium if you've passed a test, just as they do for youngsters with the on board computer showing their driving habits. Last year I went on a voluntary driving assessment run by the District Council. I had felt that I was an excellent driver but I thought that I would benefit from someone else's neutral opinion. Luckily, the assessor agreed that my driving was very good and that I should not be re-assessed for a couple of years. Your local Council probably runs a similar course. It cost me £35 but well worth it, and It made me think more about my driving. Why not have a go, folks! It will hard for me to give up driving as as well I am a keen caravaner but I feel that an upper age limit of perhaps 85 should be imposed. I'm sure your reactions are considerably slower by this age. My father gave up driving when he was almost ninety, a difficult decision as he had owned a car for around 60 years and he lives where he needs a car and public transport is not very good, he also has mobility problems. It was like losing his independence. As soon as he decided to hang up his keys we sold the car to remove temptation! We persuaded him by telling him that we were not concerned about his driving just the speed of his reactions and felt this would endanger both his life and the lives of others. One day it will be my decision to stop driving and that will be hard too as I do nearly all the driving in our house as my husband is now disabled. Yes I agree I have MS and was made to surrender my licence I can be assessed to apply back for this but honestly despite the total inconvenience I sincerely don't think I have the reaction to stop in an emergency. It is a difficult one but as I get older I see more older people like myself doing silly things on the roads. I myself have from time to time done something silly but fortunately survived unscathed. Do we always know what is best to do? I would hate to lose my licence but I would also hate to be the cause of an accident or hurt some one else. So yes I do think at some point we should have another test, but when?? Not only should there be a re-test at, say, 75, but surely whether or not you should be driving is a matter of common sense. I had been driving since I was about 15 (on private roads) so giving up driving last year at 73 was VERY hard for me, but I had noticed my concentration was diminishing and my judgement of distance was definitely not what it was. Having narrowly missed running down a pedestrian and nearly pulling out on a motorcyclist on the same trip I hung up my keys and gave my car away. I have felt stranded ever since, and find it difficult relying on others, particularly my daughter, for transport, but I couldn't risk harming someone just so I could be independent. Well done on being so brave to give up but I’m sure you are in a distinct minority. You are brave, I know I would be isolated if I had to stop driving, I am going to the dentist this afternoon and because I live in a rural area it would take me nearly 2 hours to get there on public transport but 30 minutes in the car. It would be easy if folks could take a test every year after 60. I know a lot of people in their 60's who are terrible drivers-including my wife. She drives too slowly and plays havoc with the poor old gearbox-in fact it never really gets out of 3rd gear even when she is going 35 miles an hour with the engine screaming for mercy. I think the existing process of applying every 3 years after 70 is fine, although drivers need to be sensible and admit when they feel they are no longer safe to drive. Medical advice should always be sought and taken in case of any new medical conditions. Based on an experience I had a few years ago I would say absolutely yes. I was stationary when an 87 year old man couldn't stop in time, and crashed head on in to my car. Luckily no one was injured. He said at the time he couldn't stop in time but because there were no witnesses, it was deemed 50/50 and I was not able to claim for repairs on his insurance. Due to his very slow response, he was not safe to be on the road, and neither was his very old car! Yes for sure-We only let youngsters drive when they are 17 but many of 14 and 15 could probably drive as they have quick reflexes. As we all get older our reflex's, eyesight etc deteriorate-it's a fact of life. My old aunt at 88 was still driving but she shouldn't have been. I would propose every 2 years after 80 everyone should take a short test.